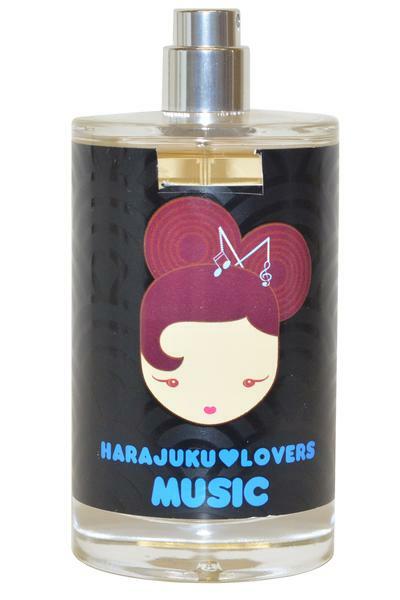 Gwen Stefani Harajuku Lovers Music Eau de Toilette is a white floral and sweet fragrance for women. Classed as a fruity, aquatic and citrus scent. Top notes: Peach and Clementine. Heart notes: Jasmine Sambac, Sweet Pea and Honeysuckle. Base notes: Vanilla, Musk and Woodsy Accords.